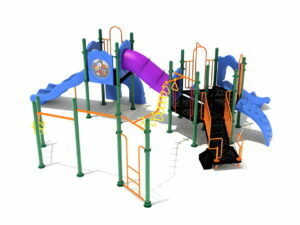 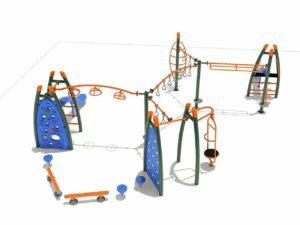 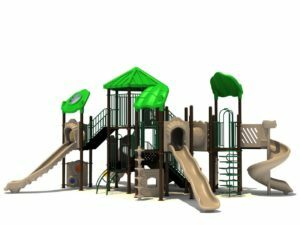 Product Size:28' 11" x 37' 9"
Product Use Zone:40' 11" x 49' 9"
Canyon Creek Play System is the epitome of a playground! This structure has everything you can think of on it! 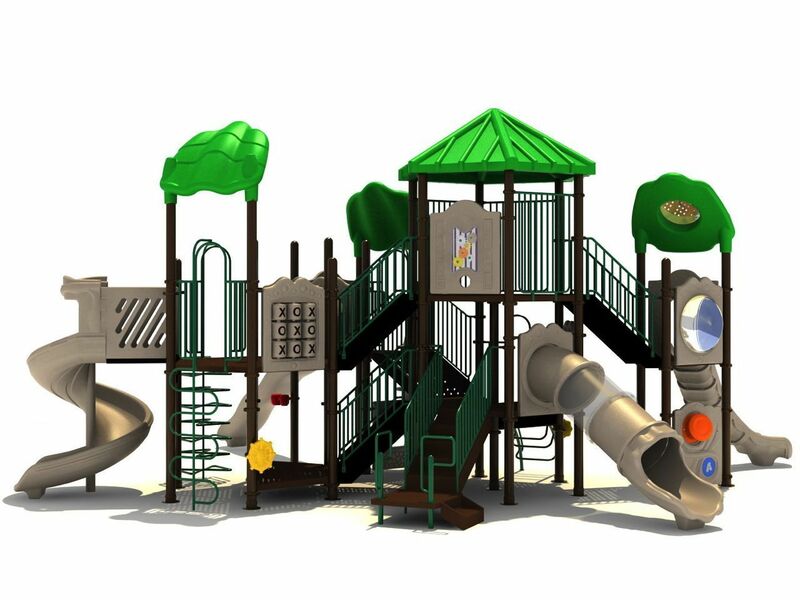 There are four slides, four climbers and numerous fun panels for the children to have a blast with. 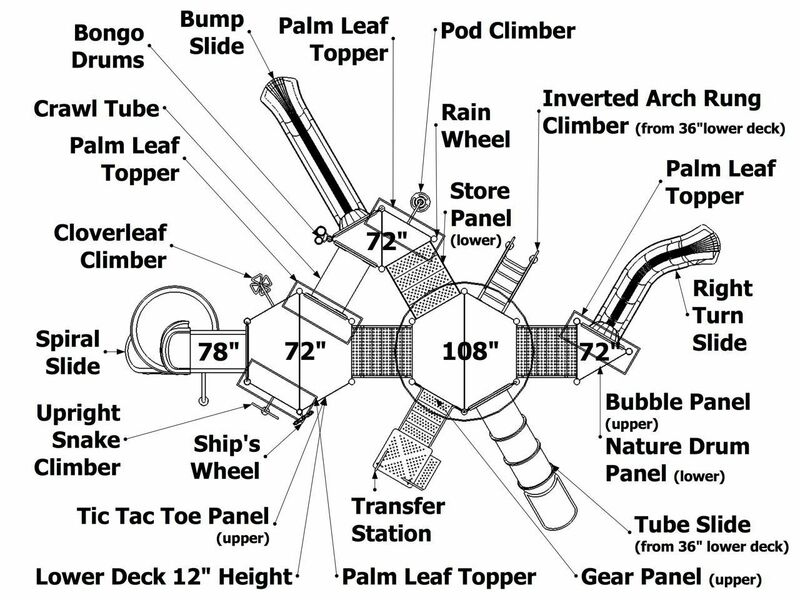 They can climb up the clover leaf climber, pod climber, inverted arch run climber or the upright snake climber. 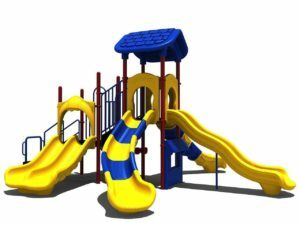 Then the kids can go down the bump slide, tube slide, spiral slide or the right turn slide. 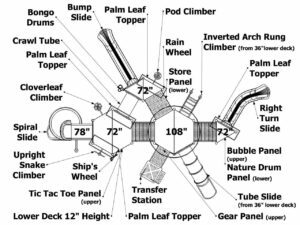 There is also a tic tac toe panel, gear panel, nature drum panels and bongo drums. 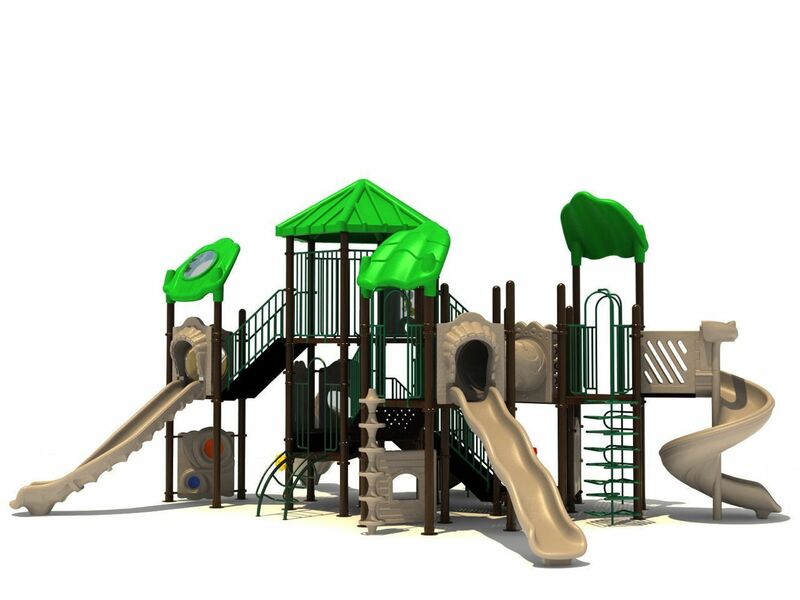 Canyon Creek is also ADA compliant and comes standard in the great nature theme color scheme shown.